As summer days come to an end and the air begins to get colder, it is important to ensure that home plumbing is prepared for the winter. Preparations are important for homes that experience extreme shifts in temperature between cold and hot (places in the North East, like NYC). Problems that occur during the winter can cause water to stop flowing and floods to grow. It is more expensive to hire an emergency plumber in NYC during an emergency in the winter than to make small fixes and repairs during the fall. The most important thing to do during the fall months is to make sure that pipes are thoroughly insulated. Most winter problems are caused by freezing water inside of pipes. It is a problem that is hard to spot when small, and so frozen water usually leads to a complete shutdown of hot water or flooding. 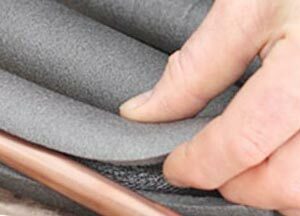 Considering how important it is to insulate pipes properly, you should trust plumbers in NYC to do the job. Shut all windows in odd places, like attics, basements, and crawl spaces. Remove hoses attached to your home to prevent excess water in pipes. If temperatures are 1 degree Fahrenheit or lower, leave a little bit of water running. Doing this will help prevent freezing. Have heating systems serviced to fix any small problems before they get big. For a professional plumber in NY, please give us a call. We will help prepare your home for cold days. Most of the recommendations a New York plumber would make are relatively quick and easy to do.